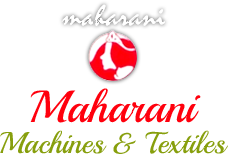 Our esteemed clients can avail from us heavy duty Vacuum Packaging Machine including Single Chamber Vacuum Packaging Machine and Double Chamber Vacuum Packaging Machine. 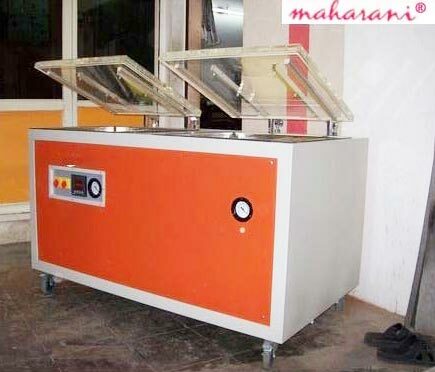 These Vacuum Packaging Machines are designed to pack food items and others consumer goods. Vacuum Packaging Machine ensures air-tight packaging of edible products; consequently assure longer shelf life and freshness of the packaged items. 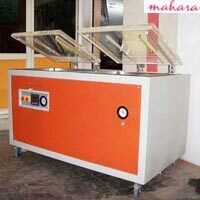 Further, Vacuum Packaging Machine is of optimum quality, user friendly and easy to maintain. 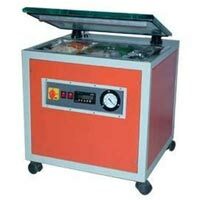 Our proficiency lies in supplying highly efficient Single Chamber Vacuum Packaging Machine. Our easy to use Single Chamber Vacuum Packaging Machine integrates heavy duty components, thereby providing fast and accurate packaging of food items and others consumer goods. 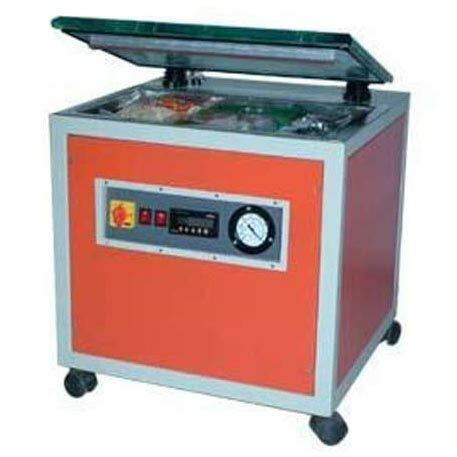 Single Chamber Vacuum Packaging Machine also ensures energy efficiency.